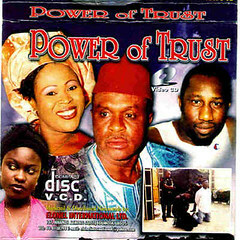 Chief Odugwu played by Ashley Nwosu wants his son Richard played by Desmond Elliot to marry Rita to solidify the relationship that he has with Rita’s father. Richard protests to his parents letting them know that he has already made his own choice in Eva, played by Ebube Nwagbo but such protests are to no avail. The engagement party is planned and it is there in front of the two families that Richard collapses, all an act to put off the impending engagement. This is not enough for Richard’s family to back off, instead they continue to put pressure on this to marry Rita. Oh no! See Tony with his nose in a bowl of cocaine. He just rubs his nose about a few times in the bowl and all of a sudden is so high that he falls back onto the bed writhing in pleasure. Lawdhammercy! I’ll forgive the poor portrayal because this is an old movie from 2004. It isn’t good enough but if they couldn’t get it right in 2008 they we must know that this portrayal of drug abuse is definitely going to be JACKED UP. How did Richie not see her child the whole time when Eva was spending so much time with him? Why did Eva not mention it, she had already told him everything else so what difference would it have made? Why does Tony give Eva 30,000 after he already gave her the money for her body already. The whole interaction is as though he didn’t already give her the money upfront before she even got in the car. Attention to detail is vital.